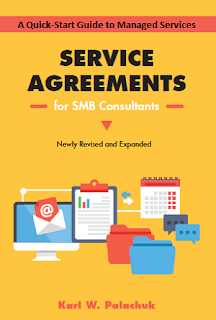 Based on the best-selling book Service Agreements for SMB Consultants, this course covers everything you need to know about developing your service agreements. 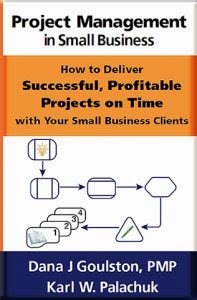 And the book subtitle is important, too: A Quick Start Guide to Managed Services. Most I.T. Professionals sign - or don't sign - contracts for the wrong reasons. Most think contracts are intended to draw battle lines for when you have a disagreement with your clients. In fact, that piece of the relationship is almost always outside the contract! We'll explore why you really need contracts or service agreements. We'll also look at various options, icluding a 2-page "terms of service" as well as managed services, programming agreements, and more. Tuition for this course includes the ebook version of the newly revised and expanded Service Agreements for SMB Consutants! That includes all the downloads from the book as well. YES - You get all the contracts and amendments! Getting Help - Lawyers, Accountants, etc. PLUS lots more. This class is filled with great advice and tips on running your I.T. company and moving into the world of recurring revenue with managed services. 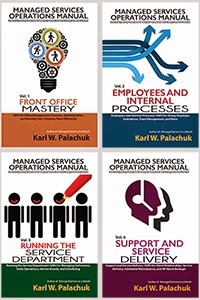 Delivered by Karl W. Palachuk, blogger and author of the very popular "SOP Friday" posts at http://blog.smallbizthoughts.com. Includes five weeks of webinars with related handouts, assignments, and "office hours" with the instructor. All classes are recorded for download. This course is intended for business owners and managers. It is particularly useful for the Service Manager or Operations Manager. Now available: Microsoft System Center 2019!